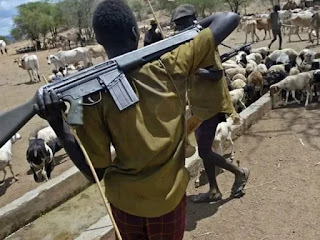 Four members of a family were Wednesday butchered in Taraba State by suspected herdsmen. A 9-month old toddler, however, survived the attack. Police Commissioner, David Akinremi, who confirmed the attack and killings, said the incident took place in Bikka village of Takum local government area, the home of Governor Darius Ishaku and former Defence Minister Theophilus Danjuma. The Taraba police commissioner described the killers as “unknown gunmen.” “There is no confirmation yet, as to who they (the killers) are, and their motive. “But no item seen to be stolen,” he told The Nation, adding that the killers struck at 1:00am. Hon. Shiban Tikare, the Chairman of Takum local government council, also confirmed the killing of the four members of a family in a night attack. Shiban disclosed that a nine-month old baby, however, “mysteriously” survived the attack. “The attackers invaded the village at night and slaughtered four members of a family who were deep asleep. “We heard gunshots around 1:00am along Takum -Ussa road. While we were making efforts to mobilise policemen to the area, we heard sporadic gunshots at Mbikka Central, a community just at the outskirt of the town. “By the time we got there, four people were slaughtered like chickens – a man, his wife and two children. “A baby mysteriously survived the attack. The attackers whom we suspect to be Fulani herdsmen also attacked Basam, a village close to Rtd. Gen. Theophilus Yakubu Danjuma’s farmhouse, setting the entire village ablaze,” he said.